Local music events, including singers, orchestras, music groups, opera, ballet plus touring performers. Wokingham Music Club - a great place to go on a Friday night. Tickets in advance from www.ticketsource.co.uk/wokinghammusicclub (Booking fee applies) or on the door. The Wokingham Music Club is open on the 3rd Friday of each month and some Mondays, too. 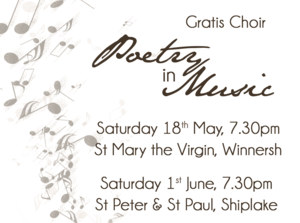 For our concerts in summer 2019 we have a programme of music which sets words originally written as poetry, rather than as lyrics for songs. 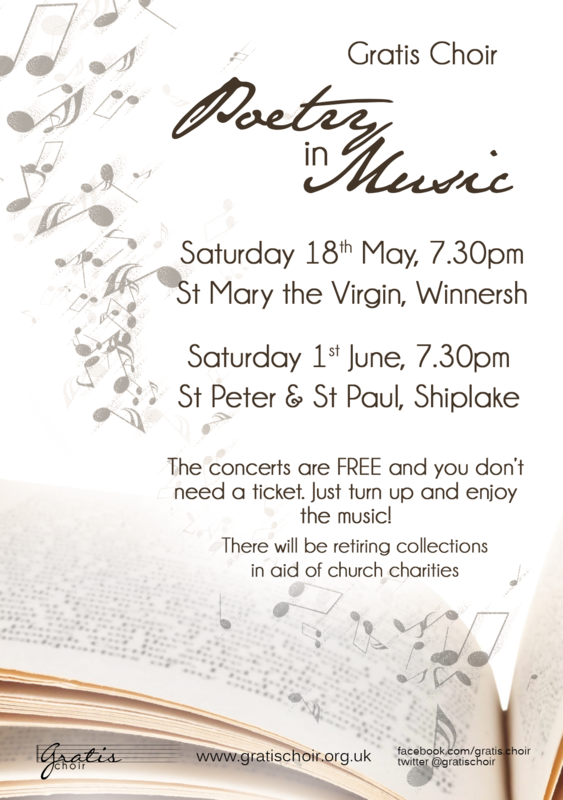 1st June, 7:30pm at the Church of St Peter and St Paul, Shiplake. 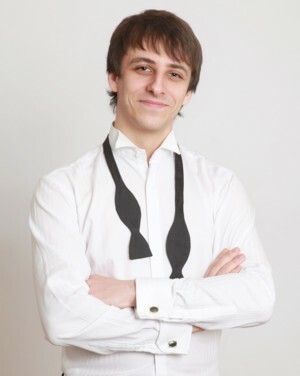 By performing the music in the chronological order in which the original poetry was written, we will have a great variety of music styles throughout the concert. The older the poem, the greater the scope for a range of musical settings, of course, and we have chosen as wide a variety as we can! For a few poems, we will even have more than one setting - so you can compare and contrast. As always, the concerts are FREE and you do not need a ticket. Just turn up and enjoy the music!! Join Reading Symphony Orchestra for the Summer 2019 concert of our 2018-19 season! Debussy's Prelude to the Afternoon of a Faun sparked a musical revolution. Telling the tale of a mythical faun who, enchanted by nymphs, drifts off to sleep to have wondrous dreams, the heat of a summer's afternoon in the forest is evoked through beautiful melodies and lush harmonies. The orchestra will then be joined by oboist Ewan Millar, 2018 winner of the RSO / Hickies Young Musicians' Competition, for Navarro's Legacy Concerto. 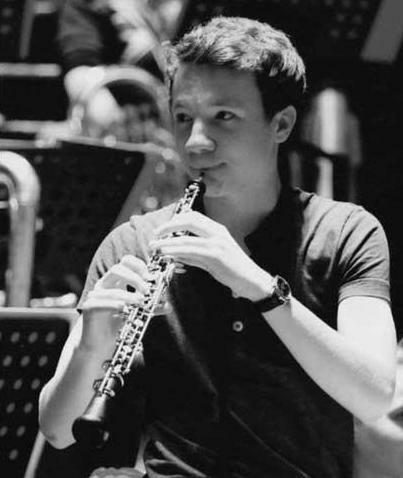 Ewan, a student at Reading School, is a phenomenal player and principal oboe with the Berkshire Youth Symphony Orchestra and the National Youth Wind Ensemble of Great Britain. The second half of the concert will feature Rimsky-Korsakov's Scheherazade – an exhilarating journey of love, intrigue and adventure based on tales from the Arabian Nights. Depicted by a solo violin, Princess Scheherazade saves her life by captivating the Sultan with stories of Sinbad and other tales. A perfect concert for a summer's evening! available from the RSO box office: 0118 973 5517 or by email or from Reading Arts 0118 960 6060 or online at Reading Arts or on the door (subject to availability). These music items run permanently. Enjoy "Live" Band Country Music to either dance to or to listen to by the UK's top professional bands every 2nd and 4th Thursday of the month at The Royal British Legion, Arborfield. Dress smart casual or western. Admission on the door: £7. No children under 14. No line dancing. No membership required. For more information contact Emma on (0118) 978 9912 or contact us by email to book your place. The Beech Hill Concert Band was formed in the late 1990s by a group of professional, semi-professional and amateur musicians, mainly from the Reading area, to give them the opportunity to play music in rehearsal and at concerts they would not play in their every day music environment. 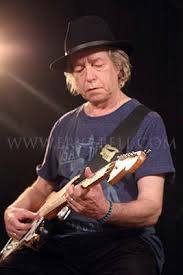 It was also decided to give concerts, free of charge, for the benefit of local charities. 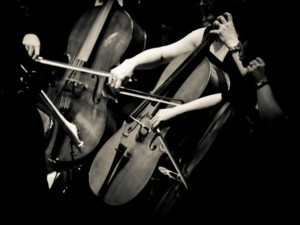 In this they have been very successful, giving many concerts and raising thousands of pounds. We play a variety of music such as songs from the shows, film themes, marches, orchestral music, swing music and modern pop classics and our programmes try to cater for all audiences, ensuring that there's something for everyone. The band comprises mainly amateur musicians who love to make music for the sake of it, so we don't charge for our services but we do have a professional MD and often need to hire professional musician to fill key parts when our members are unavailable. The costs for these people (£100-£150) have to be recovered from the concert revenue but otherwise the income from concerts goes to the organisers and their chosen charities. More information: visit the band's website www.beechhillband.co.uk. 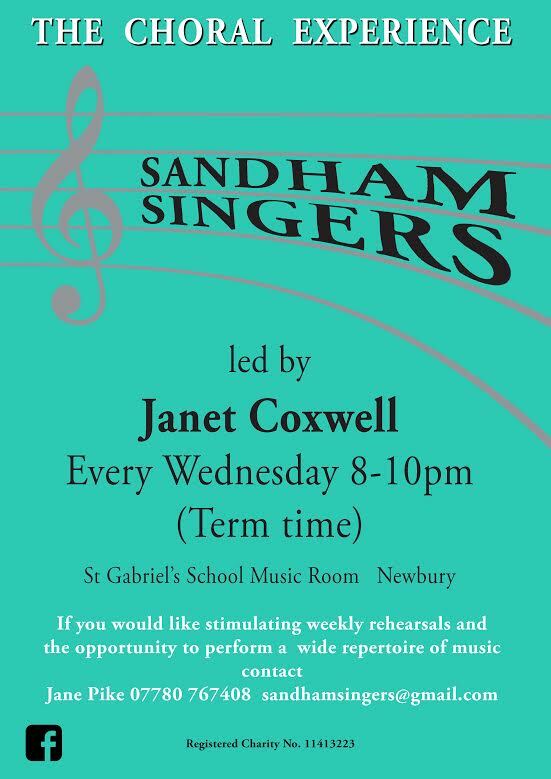 Sandham Singers are led by Janet Coxwell. If you would like stimulating weekly rehearsals and the opportunity to perform a wide repertoire of music then please contact us by calling Jane Pike on 07780 767408 or contact her by email. 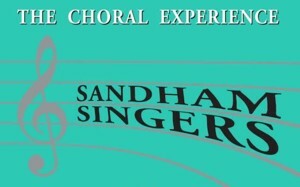 More information about Sandham Singers on Facebook: www.facebook.com/sandhamsingers. Henley Choral Society is looking for more men to join its tenor and bass sections - and there are no auditions. Henley Choral Society consists of over 100 non-auditioned singers and, as well as bringing top high quality concerts to the local community, aims to encourage the next generation of singers. Call Membership Secretary Wendy Hawkins on 01491 576929 or contact Wendy by email or contact Benjamin Goodson direct by email. More information about Henley Choral Society: www.henleychoralsociety.org.uk. Would you like to sing with Thames Valley Chorus? Under the inspiring leadership of Musical Director, Liz Croft, Thames Valley Chorus (TVC) is going from strength to strength. The chorus now has over 40 singers with many having joined through one of our highly enjoyable and successful 'Learn to Sing' courses. Singing in an engaging and entertaining four-part barbershop style, TVC performs with energy, commitment and enthusiasm appearing at a wide range of private and public events throughout the region. As well as performing locally TVC also enjoy taking part in competitions in different parts of the UK as well as having trips abroad, most recently to Cork and Düsseldorf. If our type of singing appeals to you then come along to one of our Tuesday evening rehearsals where you can be assured of a warm welcome. Also keep an eye out for our next 'Learn to Sing' course. If you are interested in joining TVC or finding our more about us call Phil on 0118 9774257 or contact us by email. For more information about TVC: www.tvchorus.co.uk. Tapestry Choir is an all-female choir based in Berkshire. We are an intimate group of fifteen voices and are currently looking for new members in all voice parts. As a group we focus mainly on classical repertoire written for female voices from the 19th and 20th centuries, including pieces by Holst, Britten, Poulenc and Debussy. We currently put on three concerts a year, as well as a summer concert. We rehearse on Tuesday mornings in Charvil between 10.45am and 12.15pm during term time. If you are a reasonably confident performer, can read music and are interested in joining us we would love to hear from you. Please contact Sarah Latto by email for more information. Calling Girl Singers Aged 10-18! Suzanne Newman leads a choir for girls between the ages of 10 and 18. The choir is called Jewel Tones. We sing folk songs, popular songs and songs from music theatre. We have a few spaces in the choir. 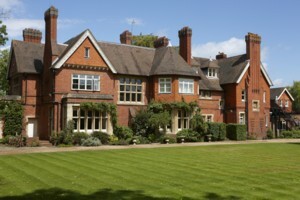 For more information about Jewel Tones contact Suzanne Newman on 0118 934 0589 or see: www.jeweltones.co.uk.